Ok I'm gonna have to ask as I've tried and tried and failed! How do you embed Youtube videos directly into a post? If I post the video URL when copied using Firefox it won't embed into the post. If I copy the same URL using Internet Explorer it works fine .....weird!! 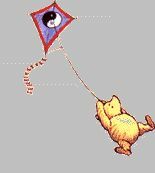 Li'l Frankie - a small kite in high winds. Can't get this to work, and I am using Chrome. Does it not work with Chrome? I embed Youtube videos on other forums with no problem at all just by pasting the url from Youtube ( the one that says embed) onto the page. I tried using brackets as suggested, and still doesn't work. When I hit quote to see what it did ( and it did not embed as you can see, this is what I see. i have found that the forum software does not like the "s" in the https remove the s and it might work....the preview button is your friend too! yeah....the forum did not like the "s"
Thank you gentlemen, I would have never figured that out. Thanks Thief it works fine now that I've removed the 'S' !